A fusion of remarkable style and exceptional ergonomics for larger individuals up to 500 lbs. 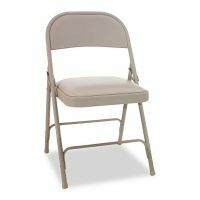 Heavy-duty construction provides strength and durability. 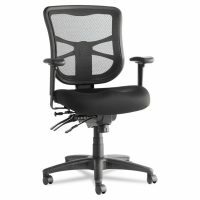 High-capacity gas lift for hassle-free height adjustment plus heavy-duty swivel seat control with optimized back angle for stable support. 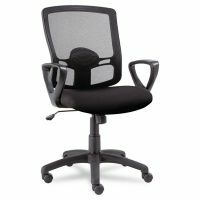 Lavishly-sized sculptured seat and back offer maximum comfort while contoured stitched upholstery and custom-designed back strap deliver superior aesthetics. Five-star high-strength base with casters. 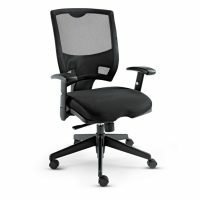 Seat/Back Color: Black; Arms Included: Yes; Pneumatic Seat Height Adjustment: Yes; Tilt Tension/Tilt Lock: Yes. 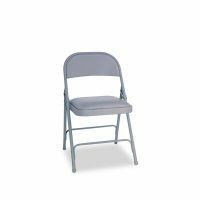 Heavy-duty construction provides strength and durability. 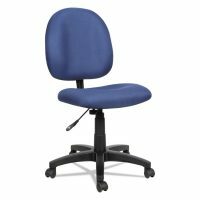 Heavy-duty swivel seat control with optimized back angle provides stable support. 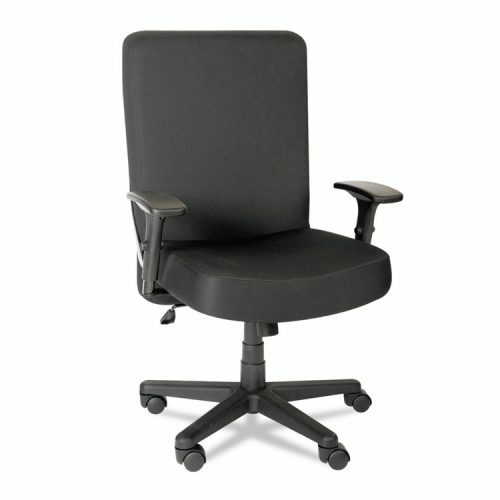 Lavishly-sized sculptured seat and back offer maximum comfort. 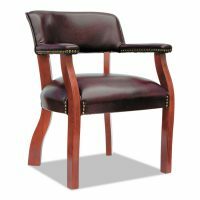 Contoured stitched upholstery and custom-designed back strap deliver superior aesthetics. 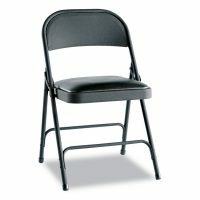 Five-star high-strength base with casters. Five 2 3/8″ dual-wheel carpet casters.